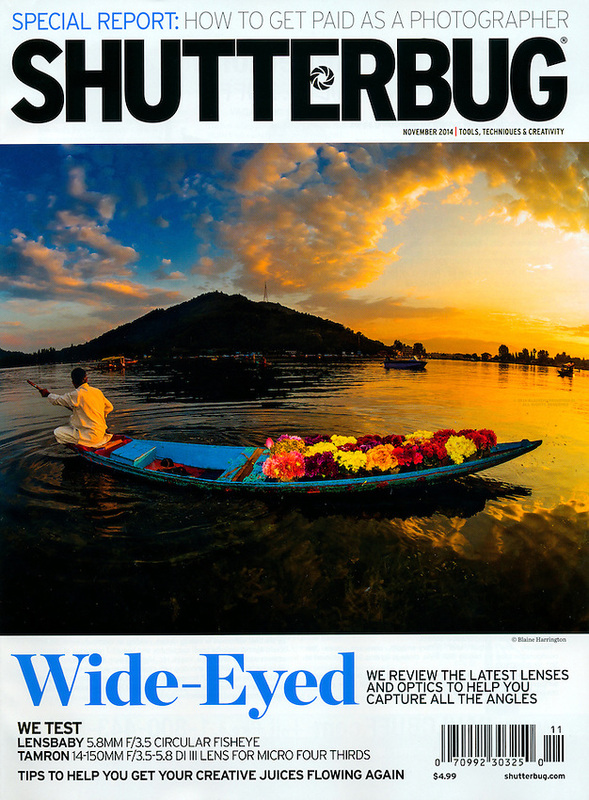 November 2014 cover photo of Shutterbug Magazine. Flower seller paddling his canoe on Dal Lake, Srinagar, Kashmir, India. Copyright: © Blaine Harrington III. All rights reserved.